Thousands of Iranians have taken to the streets of Paris, Warsaw and other cities to protest the Iranian regime. On Friday 8 February, several thousand marched in Paris to mark the 40th anniversary of the Islamic Revolution, condemning the continuing human rights violations n Iran, increased terror plots by the regime and its continuing missile and nuclear programmes. Protesters called for the international community to act, lending support for President Trump’s tough stance on the regime and aiming criticism at EU policy that has been too lenient. Protests have continued today in Warsaw to coincide with a summit hosted by the US and Poland. The summit, which is being attended by the UK Foreign Secretary and Israeli Prime Minister, sees representatives of dozens of countries, including several Arab states, but it has been snubbed by the EU’s head of foreign policy, Federica Mogherini, with some European nations sending low-level diplomats. Smaller protests also have also taken place in recent days in Stockholm, Berlin and London. 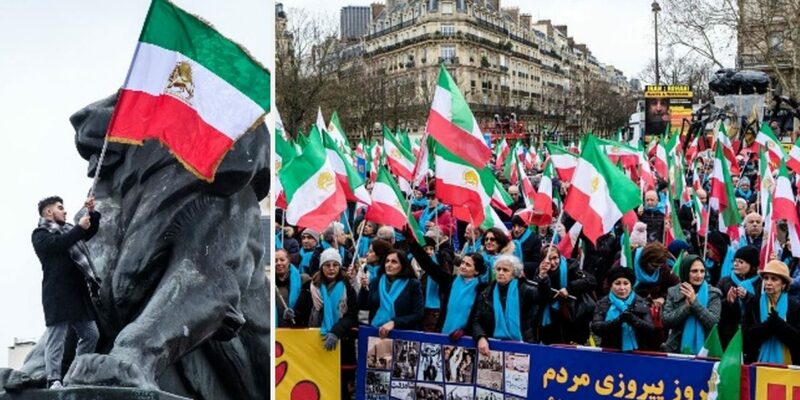 In Paris, the march was organised by exiled Iranian opposition group the Mujahedeen-e-Khalq or MEK, starting in Paris’s Denfert Rochereau Square and ended at Les Invalides in front of the French National Assembly. Opposition groups were joined by a number of speakers, including former to current French politicians. Dr Alejo Vidal-Quadras, a former Spanish Member of the European Parliament, also spoke out at the Paris rally in support of the Iranian community. He said: “I call on the EU to take a hard line with this theocratic and terrorist regime which has no future.